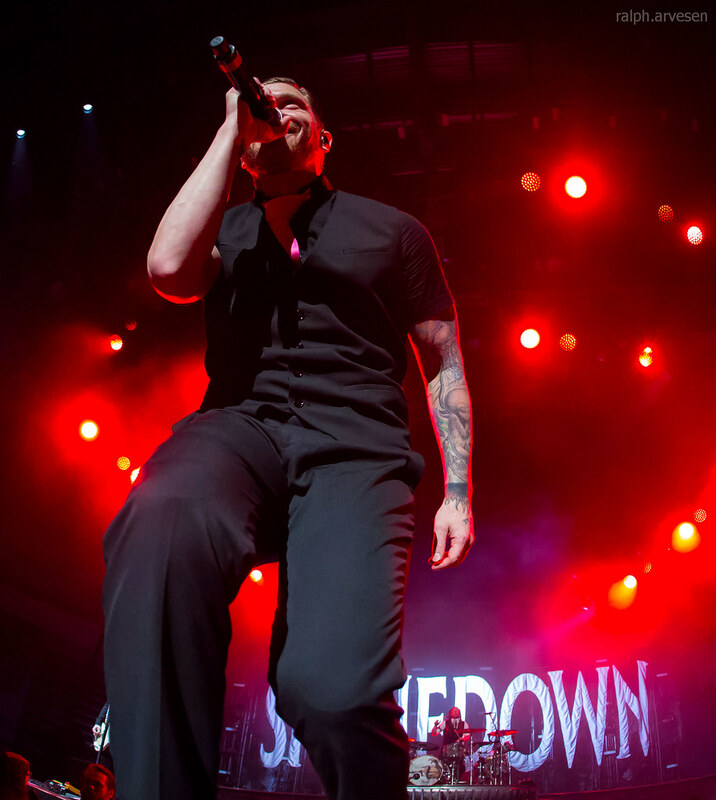 Melodic hard rockers Shinedown hail from Jacksonville, Florida and originally featured vocalist Brent Smith, guitarist Jasin Todd, bassist Brad Stewart, and drummer Barry Kerch. 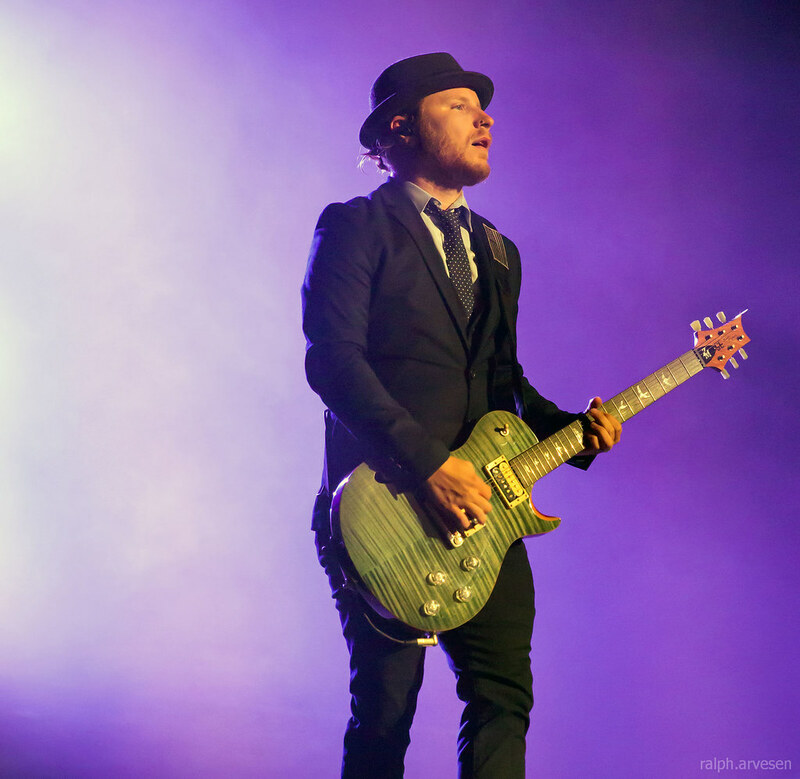 Snapped up by Atlantic Records during the early-2000s flurry of post-Creed and Nickelback signings, the group released its debut album, Leave a Whisper, in 2003. 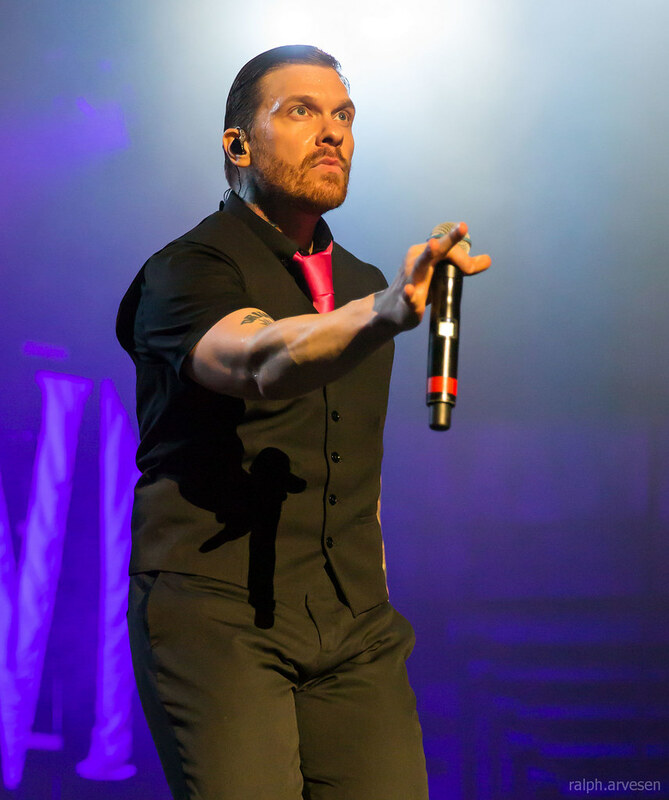 Whisper ended up doing quite well for the band (eventually going platinum), aided by its single, "Fly from the Inside." 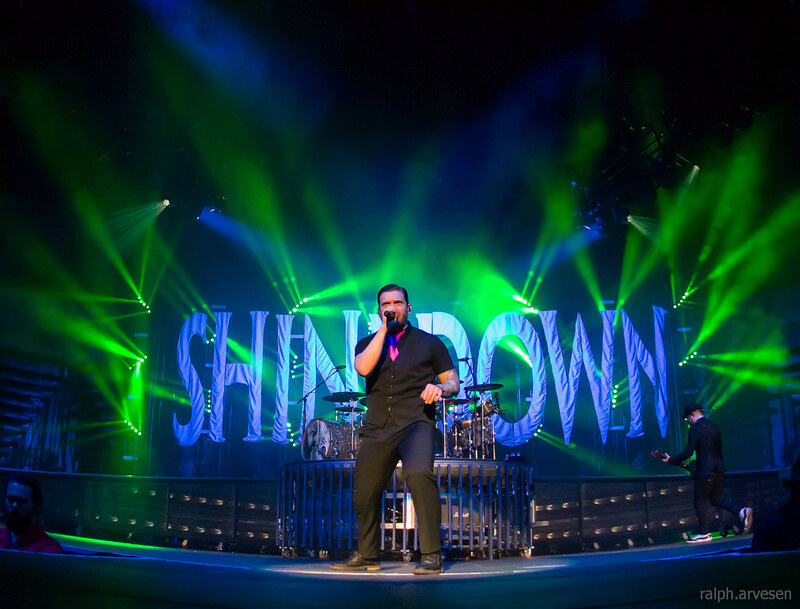 Shinedown also supported it with a heroic slate of live shows, remaining on tour for most of 2004. 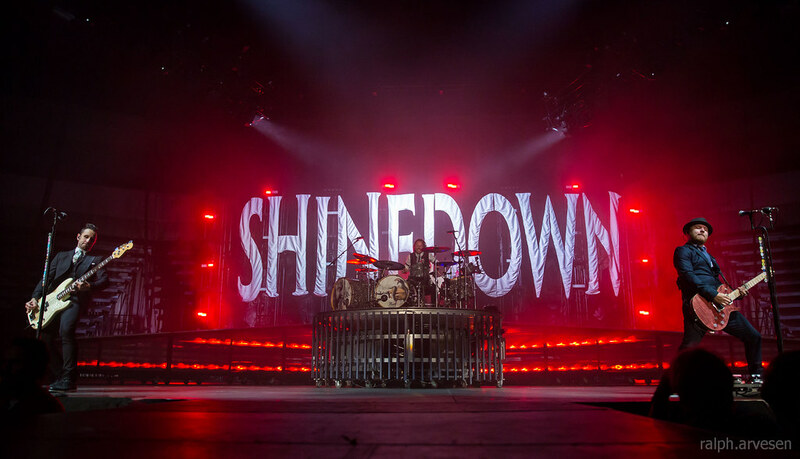 The following year the band issued a live album documenting those shows, then returned in October 2005 with its sophomore effort, Us and Them, which went gold. 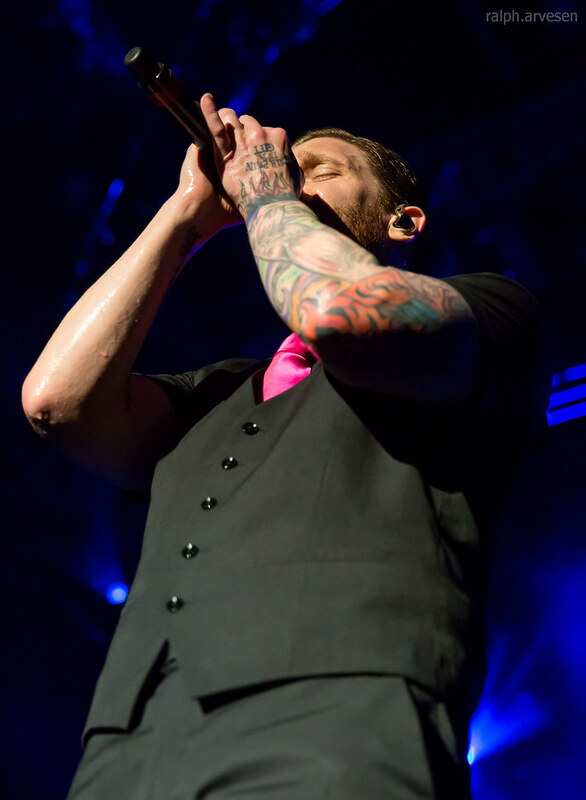 The band underwent a few lineup changes in the years to follow, re-emerging in 2008 as a quintet that included Smith and Kerch along with guitarists Nick Perri and Zach Myers and bass player Eric Bass. 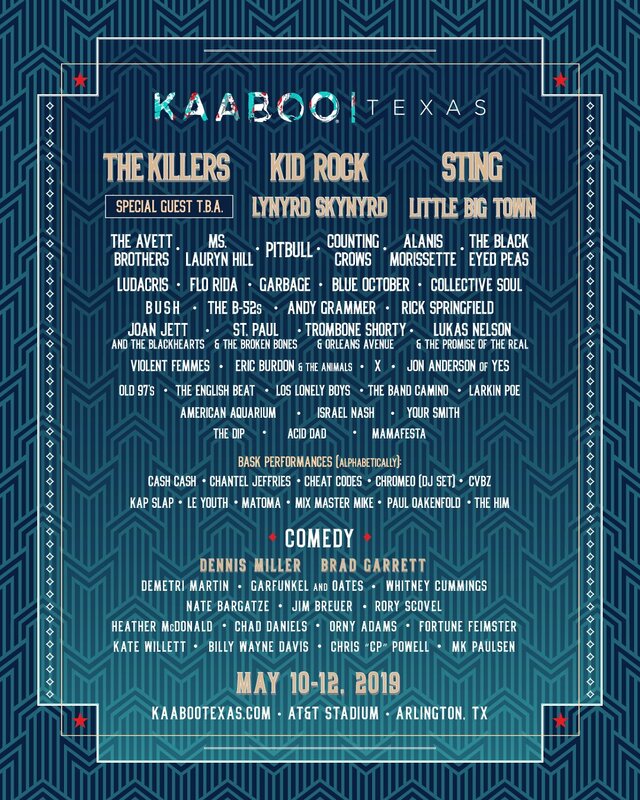 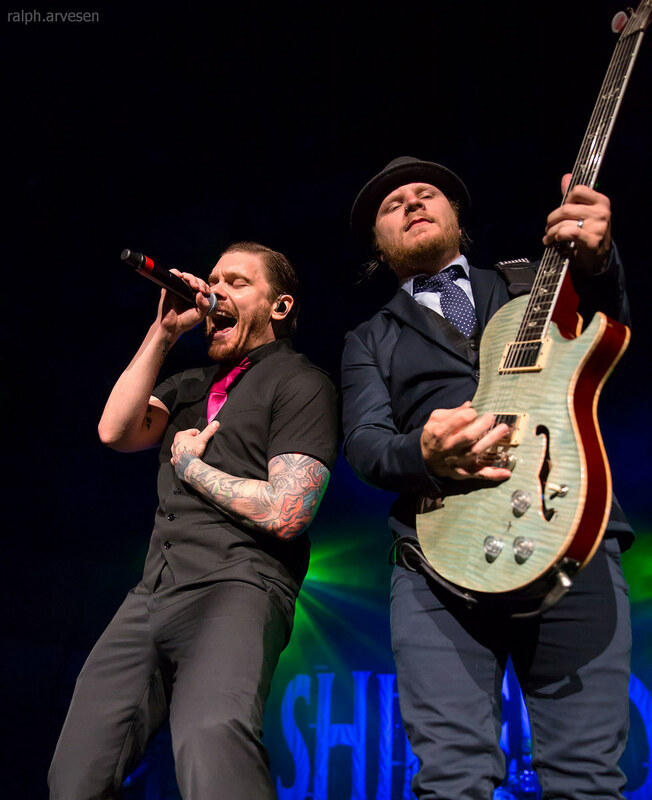 Shinedown was the main act with guests Whiskey Myers, Black Stone Cherry, and Halestorm. 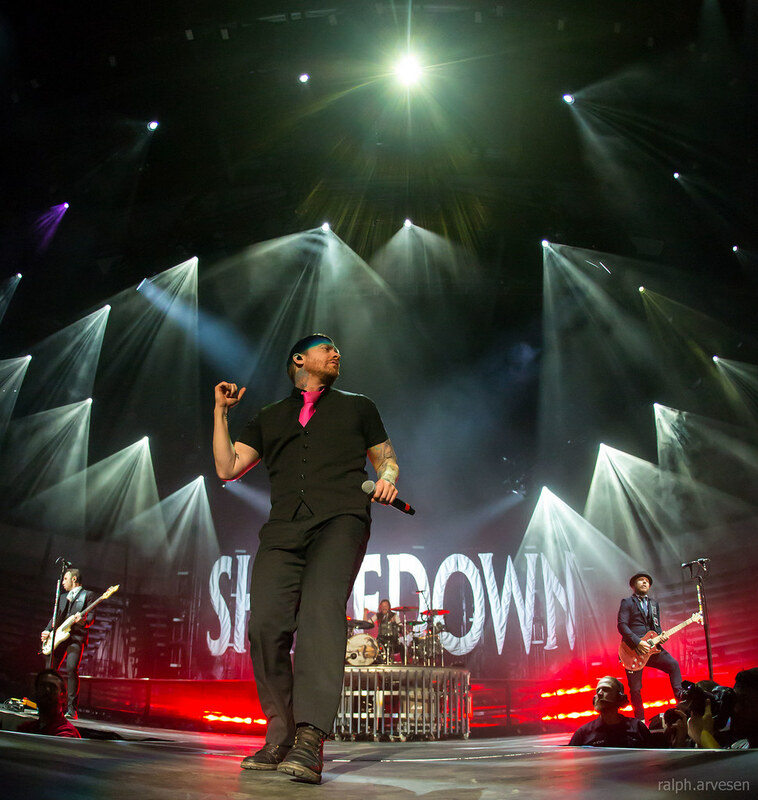 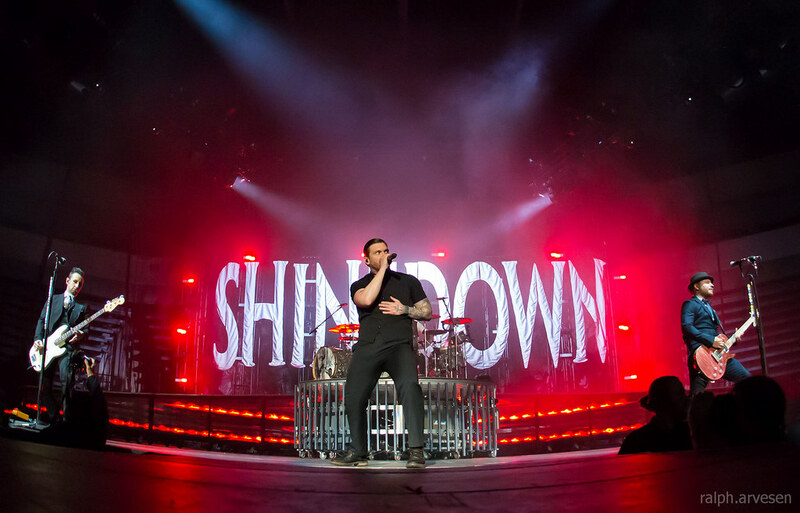 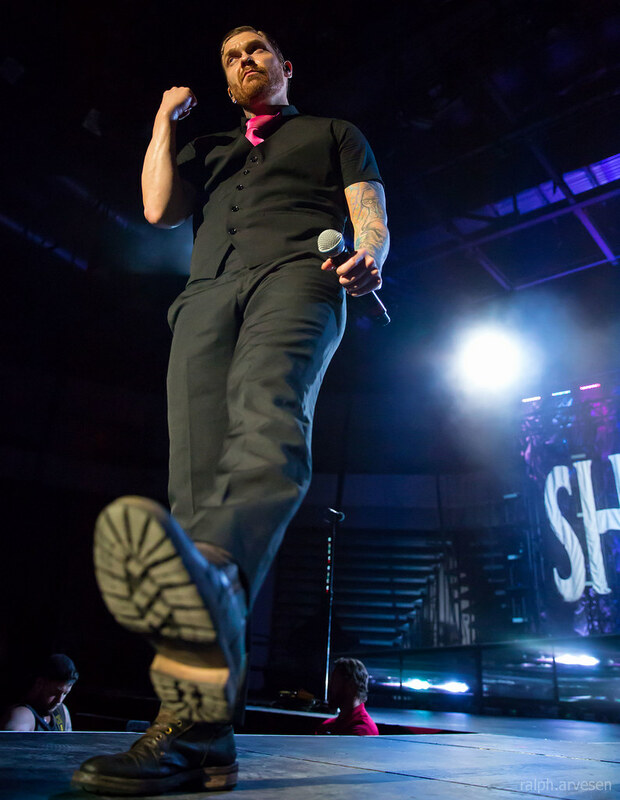 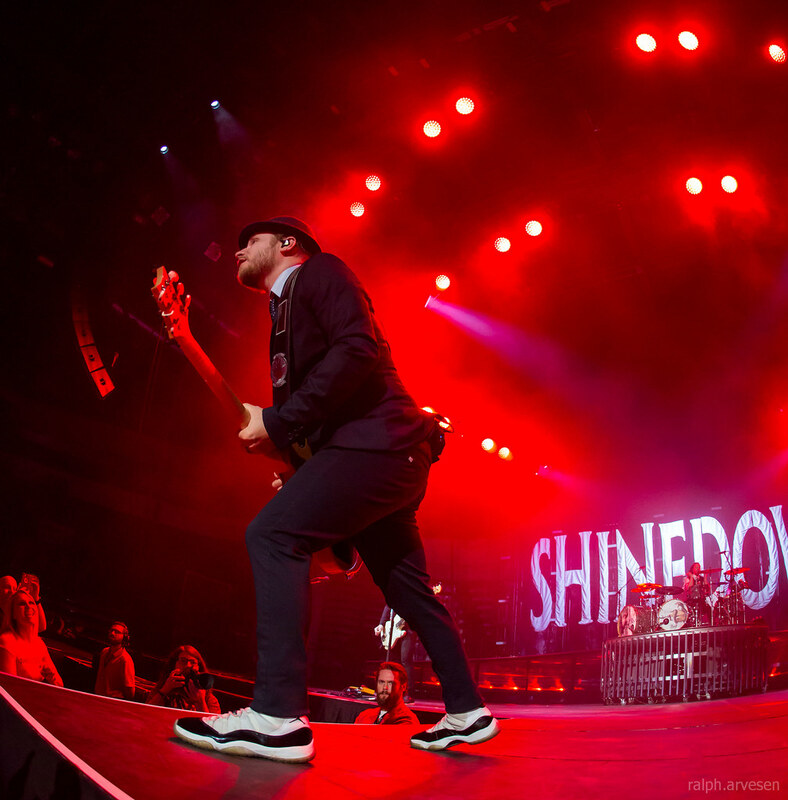 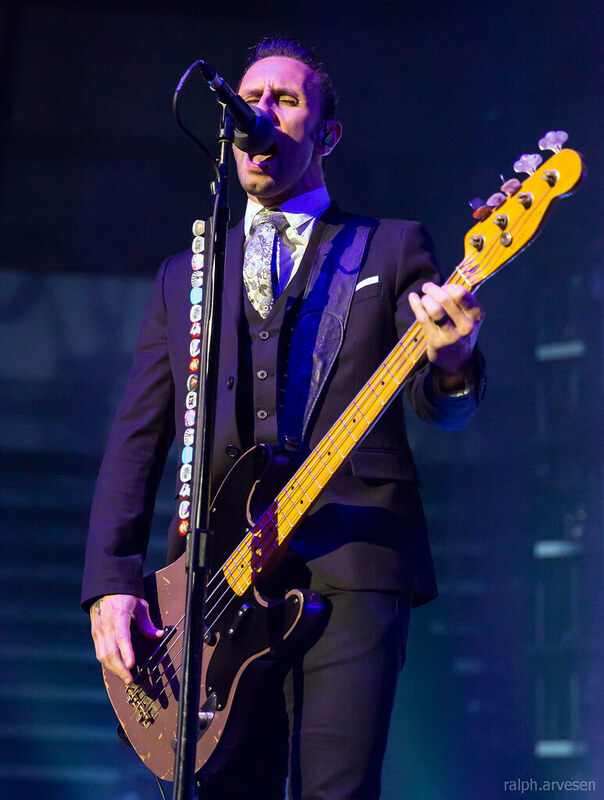 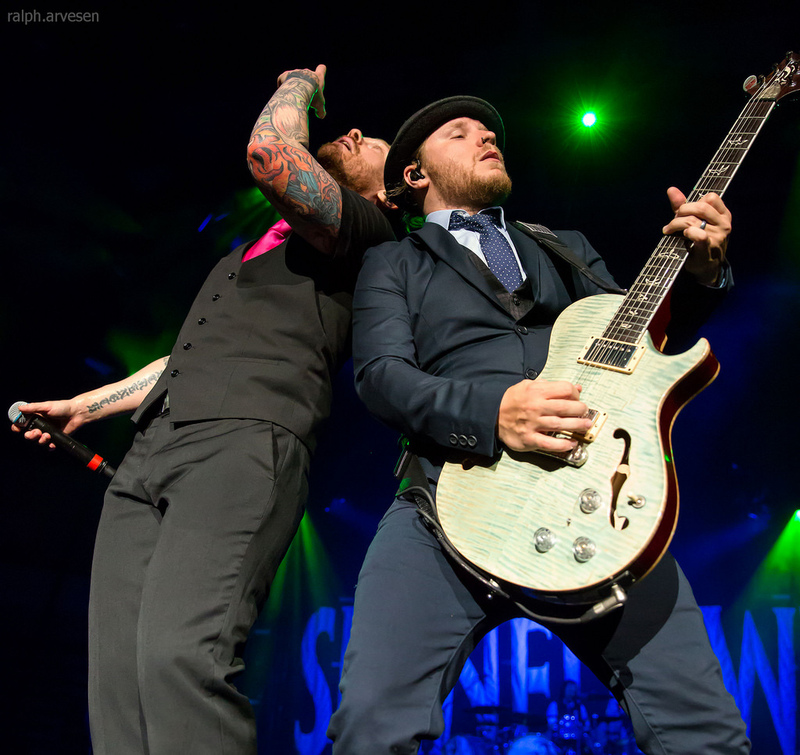 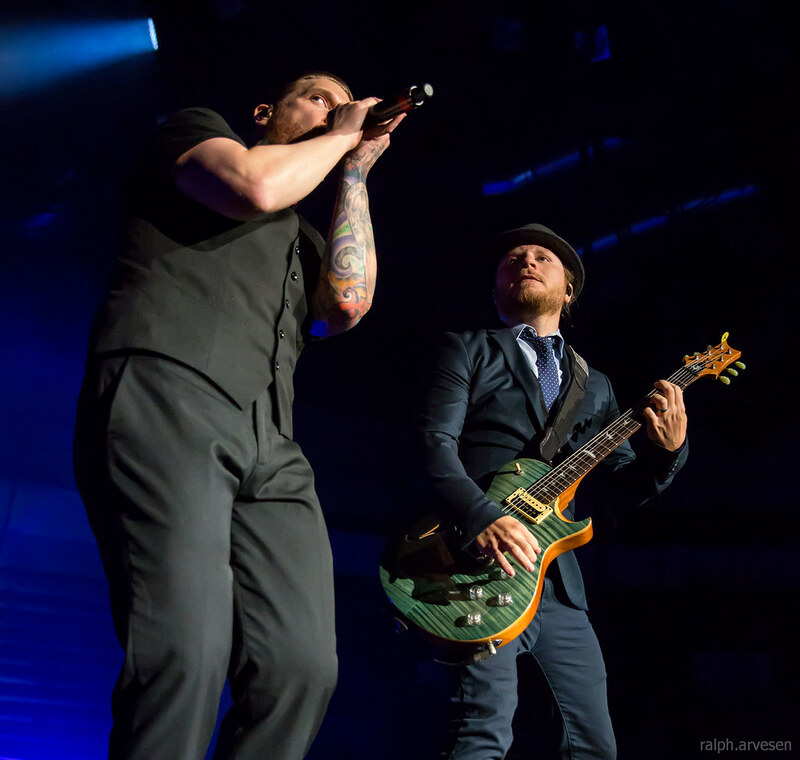 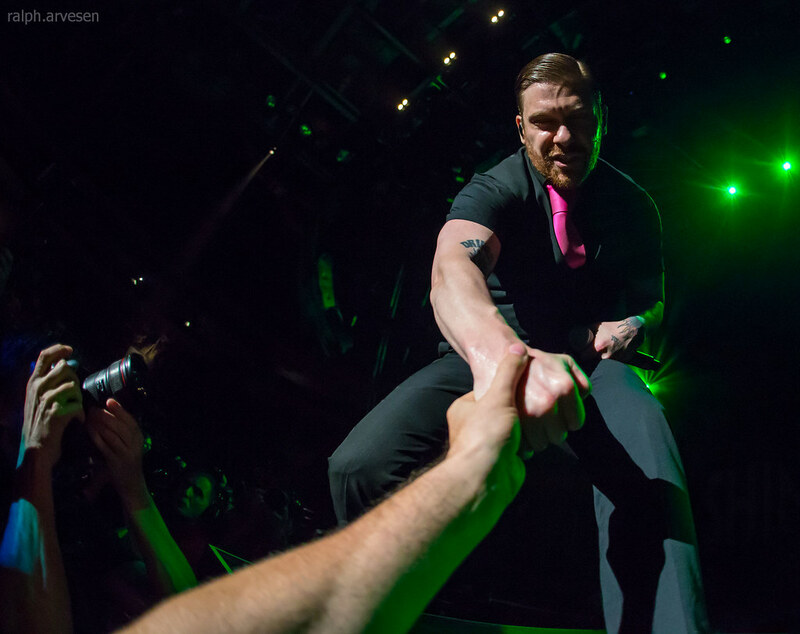 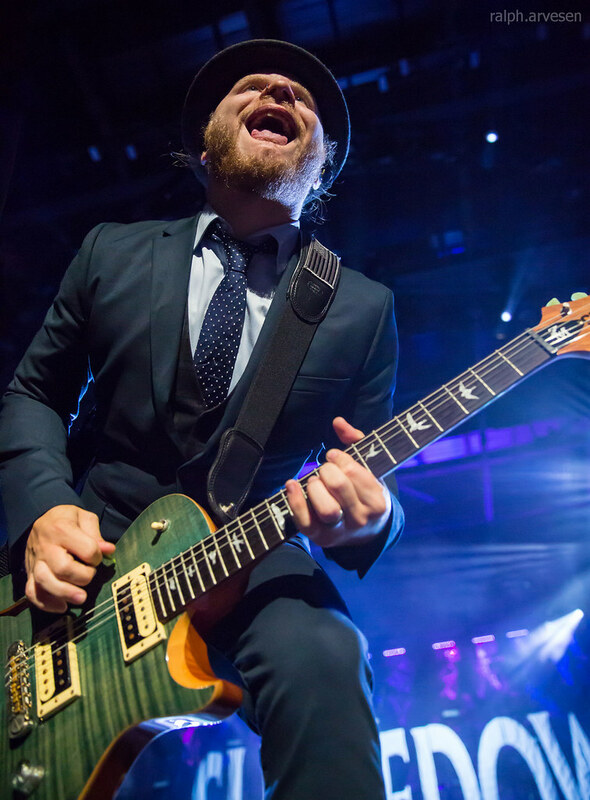 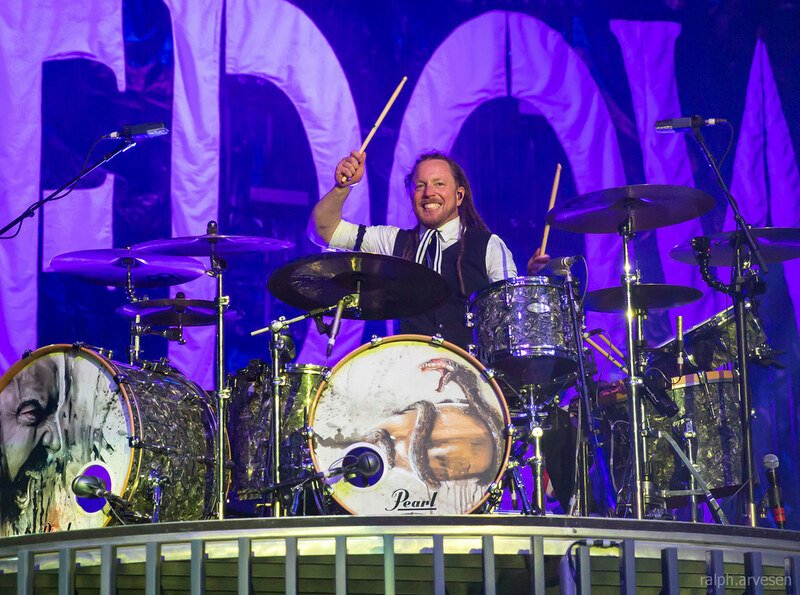 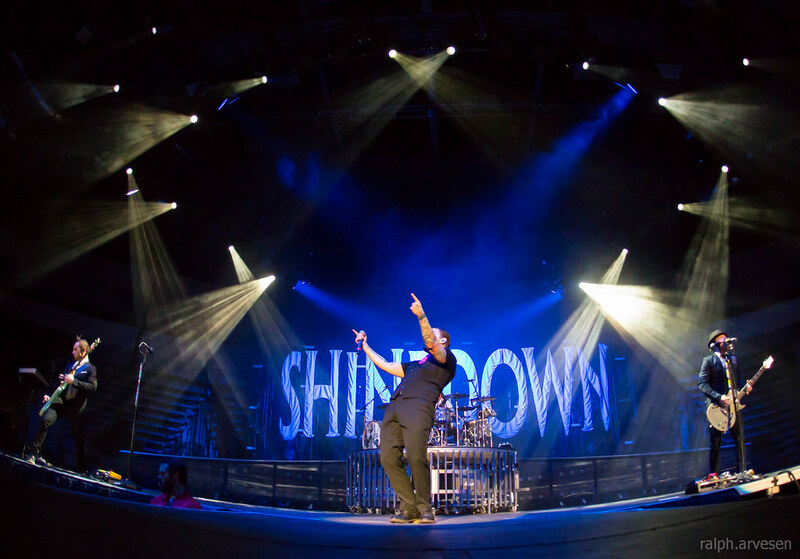 Shinedown continues the tour across the United States and then stops in Belgium and Germany with the last show in Festhalle in FrankFurt, Germany on April 28, 2017.